IBM has joined hands with public and private entities for an education program to prepare and equip Filipino students with Industry 4.0 type skills. And as IBM aptly said, for the jobs today and in the future. Apparently, the United States tech titan, which has been operating in the Philippines for 82 years, is anticipating and addressing job requirements in the coming years as the 21st century moves inexorably; jobs which it dubbed neither “white collar” nor “blue collar,” but “new collar” jobs which are technology-intensive needed across industries. To implement this initiative, IBM is bringing to the Philippines its Pathways in Technology Early College High (P-TECH) School model it pioneered on its home soil in 2011. And in order to carry out P-TECH and realize its objectives, IBM partnered with the Taguig City local government, and the Taguig City University (TCU) to pilot the Science, Technology, Engineering and Mathematics (STEM)-focused initiative in the Philippines. IBM Asia Pacific CEO and Chair Harriet Green said P-TECH is already in 10 countries globally, and the Philippines the second one in the Association of Southeast Asian Nations (ASEAN) — after Singapore — to replicate the program. She IBM started P-TECH in the U.S. around 2011. After U.S., she said IBM brought the P-TECH School model to Morocco, Australia, and Taiwan, and this year for implementation in Singapore, Korea, Ireland, Brazil, and Colombia, and the Philippines. Both IBM and TCU hope to officially start P-TECH this coming June, the traditional start of school year in the country. Created by IBM over eight years ago, P-TECH creates a direct path between high school, college, and career by uniting the expertise of the public and private sectors to strengthen education and reinvigorate local economies. To date, P-TECH has been replicated in more than 110 schools worldwide, and is expected to be in more than 200 schools by the end of 2019. More than 500 businesses in technology, healthcare, and advanced manufacturing currently participate in the initiative as industry partners. In the Philippines, P-TECH will span grades 11 to 12 (senior high school), with students graduating with their Associate’s Degree in Computer Technology. Beginning in senior high school, students will benefit from mentorships, worksite visits and project days — all of which will provide early exposure to career in industries and disciplines that involve a background in STEM. As students progress in high school and college coursework experiences, these opportunities will equip students with the necessary technology and workplace skills, as well as the degrees for competitive and fulfilling “new collar” careers. P-TECH will help increase the pool of skilled Filipino talents needed as companies across sectors ramp up their digital transformation efforts, IBM said in a statement. 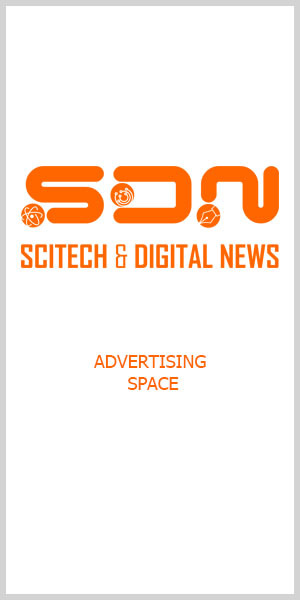 Dr. Juan C. Birion, president at TCU, told SDN — Science and Digital News, how thankful was the university after IBM chose it as its pilot school for P-TECH. It’s an honor, he emphasized. “I am honored that Taguig City University has been chosen to be a partner for P-TECH in the Philippines. P-TECH very much supports Taguig City’s objective to invest inthe education of our residents so that they can become more productive, hopefully resulting to be a better quality of life for them and their families,” said Taguig City Mayor Laarni “Lani” L. Cayetano. “At IBM, we’re very aware of the urgent need for skilled STEM talent. P-TECH is a direct response by IBM to the global skills crisis and is very much in line with the needs and strategy of the Philippines as a nation. We are grateful for the support of the Department of Education and extremely excited to be partnering with Taguig City through Taguig City University and all the other like-minded partners who will come on-board later to bring the P-TECH program to life. “This partnership will effectively create new learning pathways to much-needed new collar careers. Together with the growing P-TECH ecosystem, we will help students better understand the connection between their coursework, field experiences, and the ‘real world expectations of the workplace,” said Green. In an interview with Lope Doromal, chief technologist & client technical adviser at IBM Philippines, Inc., laid down further what P-TECH is, and why IBM came up with an education that bridges the gap between skills and job requirements in the digital era. “The idea around P-TECH is to create people with what we call ‘new collar’ skills. The concept behind new collar skill is this is sort of the new skills that the marketplace needs today that doesn’t really require a four-year college degree but at the same time require beyond what a senior high school graduate would normally have. Doromal pointed out that for its roll-out in the country, it will cover grades 11 and 12 (senior high school) and then the first two years of college. “What’s also unique with this program is it is beyond those traditional teaching, maybe IBM products or IBM-specific skills and so on. One of the key tenets of P-TECH is that it will create a workplace, it will provide the students workplace immersion even while they are in school,” he added. IBM and its participating industry partners (to be named soon), he revealed, will provide mentorship to the selected students and get a chance to talk to IBM professionals; provide them workplace immersion tours to actual production floors and see how people are actually working and get a (paid) on-the-job training even while they are in school. “The objective here is when they graduate in this program after two years of college they should have the specific skills that IBM and our industry partners really need so they can be first in line in terms of hiring for companies like IBM and our industry partners,” Doromal said. P-TECH targets the underprivileged, under-served, and under-motivated students who do not normally want to pursue a college degree because of economic constraints, he said. Logo of IBM courtesy of Wikimedia Commons. — This story may need an update with new information.